Marathon training for Marathon #6!! When did that happen? Each training cycle has been a bit different. I would say the only Marathon where I was fully prepared, and completely ready was for Eugene (Race Report HERE). The trick to a successful training plan for a Marathon is self-assessment. Maybe you want to "just run for the love of running" and don't want the confines of a true plan. Maybe you need structure down to the minute, pace, distance, etc..
Maybe a Beginner plan would be best, a plan that prepares you for the mileage, but does not have speed work, hill work, or other confines.. Your goal is simple To Finish. Maybe you do not like rest days, will run all day every day, and need a plan to reign you in. Maybe you have a PR you are hunting down and need the structure to get you there. Knowing who YOU are as a runner is important before you go into any training from 5K to 50K and beyond.. I am a NEWBIE (Wannabee) Running Coach practicing with training plans on friends and family.. Which client am I having the hardest time with?? ME! Yes I have created my own training plan. So before I work with ME, I need to know a few things..
STRENGTHS/POSITIVES: -Experienced runner and racer with a decent mileage base coming into training. -Knows she CAN run the distance, she has done it before. -Has a treadmill in her home and running trails near her office. -Determined to have a great effort at the Marathon in Boston. -Has 8 pounds to lose which is weighing her down. -Schedule during the day is all over the place making some days hard to fit a run in. -Fades at the end of runs/races. -May be slightly burnt out and not totally ready for Marathon training. -Has a weak knee making 4-5 days a week max. -Would like to help others meet their goals, leaving her goals to the side. How do I work with this person?? The Message: Unless you know yourself as a Runner you will not know what plan (or lack of plan) is best for you. The runner you are is ever-changing, so assessments should be done often. The worst thing to do is set out on a plan and not be able to stick with it. You're so right, you really need to know what kind of runner you are to know what kind of results to expect. I've been so lax lately and I want to PR at my half on the 30th but I know I haven't put in the work. I feel like right now I'm more into running for fun than for time. I think we as runners are constantly evolving and it's important to tune in often to see where you stand. If this runner is tempted to run for fun at the time, go with it. If she decides somewhere during the training mileage buildup that there is a time goal, adjust accordingly, but make sure the time goal is not too far-reaching. This runner could take this marathon training to work on form things like TRex arms, healing nagging knee issues, and maintaining a constant pace. I think the important thing is to let the training plan fit into life, and not force life to fit into a training plan. Maybe this runner's goals for marathon training isn't a specific time, this time through? Ooooooh, and/or find some AWESOMELY FUN cross-training to get comfortable with to prevent total burnout, AND injury!!! My faves: Yoga. Swimming. And I was surprised to find that I enjoyed the spin class I took over the holidays. You'll come up with the right plan. And I know you'll have the Boston experience that you want. You have the mental strength to accomplish your goals and will do what it takes to make it happen. Great self accessment! Good points to remember as we all look into the 2011 racing year. You will create the Tall Mom Perfect Plan and love your Boston experince! ALL of the *others* sound like me! 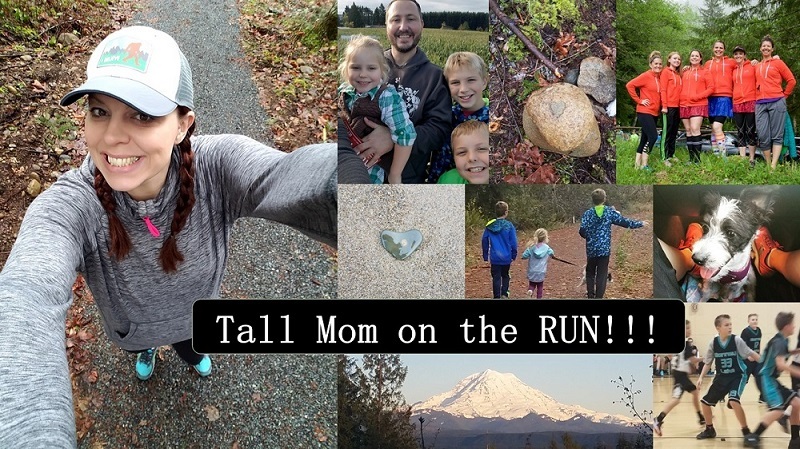 I'm on the "just run for the love of running plan," and lately it's been making me feel kinda guilty. Its hard to explain but i feel like i don't even train, i feel like i just maintain. I'm thinking about adding in some tempo runs and maybe some hill repeats for Boston. btw, you look great in those pics, super lean! That's a really good point, and a good reminder that I need to plan up if I want to be more awesome this year. A man who is his own lawyer has a fool for his client...... I'm kidding, you'll find a plan that works for you! You did a great self-assessment, so you know who you are as a runner. Maybe you just need to let things fall into place over the next couple of weeks, while you adjust to the "being on training" again. Your last marathon was a quick decision, maybe that threw you off just a little. I did a bunch of half-marathons, but trying to go longer always crashed at a certain mileage. This year I have just had it. A few 20-milers and I will do a full one in February - no more excuses. The first one will be for finishing only, though. Great post, Mel. =) Awesome self-assessment. Good, true self-assessments are hard to do! And I think you nailed yours! Sending you LOTS of GOOD TRAINIGN VIBES RIGHT NOW!! Can you sense it? You're going to do great in Boston regardless, and I can't wait to hear about it (especially the blogger meet-up). Your body has done it before, it will remember how to do it again! I can aready see a difference in your posts from 2 weeks ago--you have to be feeling more confident! If you need another guinea pig to practice on, I am running a full on 5/14 :) and hoping for a sub-4hrs! VERY true! Love this post. You are such an inspiration. You will rock it from start to finish!! Good luck. Great post! These are things we all need to think about for ourselves, if we are coaching, or being coached. And, how true ... aren't we always our worst client!